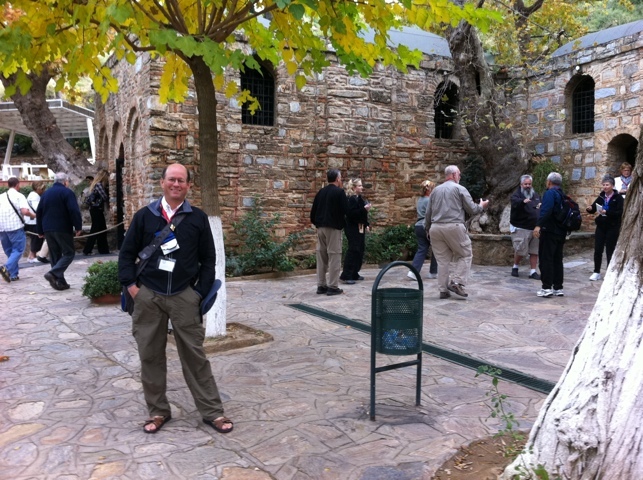 Today we had an outdoor Mass at the House of Mary in the hills above Ephesus, then I gave a talk on the Apostle St. John at his tomb. Join us on a virtual pilgrimage. I made this short 2.5 minute movie on my iPhone on the bus while driving to Pergamum.